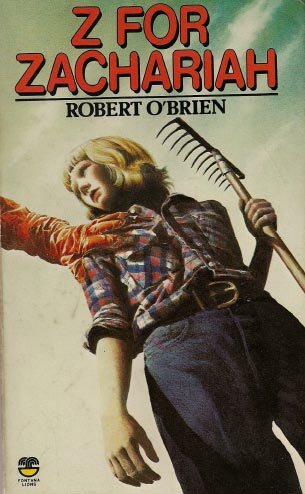 Z for Zachariah is a post-apocalyptic science-fiction novel that was published posthumously in 1974. The name Robert C. O’Brien was the pen name used by Robert Leslie Conly. Set in the United States, the story is in the form of a diary written from the first-person perspective of sixteen-year-old Ann Burden, who has survived a nuclear war and nerve gas through living in a small valley with a self-contained weather system. I’m sure I owned this book as a teenager, however I have no memory of reading it. In 2015 a film of the book was made. Margot Robbie is currently up for an Academy Award as Tonya Harding in the film I, Tonya. Chiwetel looked familiar. He was in ‘Doctor Strange’ (2016) and ‘The Martian’ (2015). The film has lots of differences from the book. The main protagonist, Ann is 16 in the book and about 10 years older in the film (Robbie would have been 23). The book has only two characters, the film three and judging from the description the book was much darker. Shot at Port Levy, Pine was arrested by police near Methven after failing to pass a routine roadside breath alcohol test. He pleaded guilty to drunk driving on March 17 2014, stating that he drank four vodkas at a local pub. The movie received generally positive reviews. Rotten Tomatoes gives the film a 80% score based on 81 reviews. However low ratings in the USA meant it went straight to DVD and not to NZ cinemas. It’s easy to see why. Despite being labelled as a Sci-Fi films, the only Sci-Fi element is the post-apocalyptic setting. It’s really about what happens when a girl, living on her own meets and lives with two men when they turn up in her valley. It’s slow moving and forgettable.